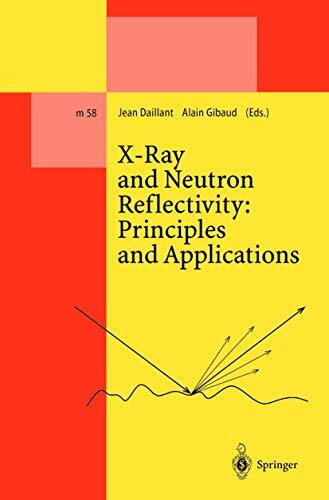 [PDF] X-Ray and Neutron Reflectivity: Principles and Applications (Lecture Notes in Physics Monographs) | Free eBooks Download - EBOOKEE! Description: The book is the first comprehensive introduction to x-ray and neutron reflectivity techniques and illustrates them with many examples. After a pedagogical introduction, the interplay between the statistics of rough surfaces and interfaces and the scattering of radiation is considered in detail. Specular reflectivity and diffuse scattering are discussed next. The approximations are rigorously introduced and many experimental effects are discussed. In the case of neutron reflectivity, particular attention is paid to the reflectivity of polarized neutrons from magnetic multilayers, which allows the determination of in-plane magnetization profiles. Many applications are reviewed in the second part: rough surfaces, interfaces and multilayers, liquid surfaces and soft-condensed matter, and thin polymer films. In each case the underlying physics is first introduced, then specific experimental methods are described. The book addresses researchers and graduate students. No comments for "[PDF] X-Ray and Neutron Reflectivity: Principles and Applications (Lecture Notes in Physics Monographs)".